Dr. Uliana Gabara led a group of six faculty members on a three-week seminar to South Africa. The trip was preceded by several weeks of personal research and on-campus presentations. While in South America, participants met with academics, intellectuals, and just 'plain folk.' 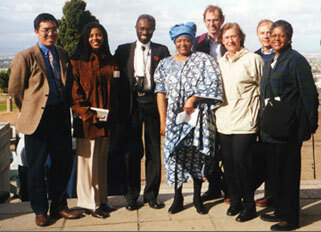 They attended several presentations and seminars on South African culture, economics and politics including a presentation on grass roots development. They also visited some of the region's most important cultural and political sites.